Of the average of 134 6-6.9 magnitude earthquakes and 15 7-7.9 magnitude earthquakes, there were 182 6-6.9 and 19 7-7.9 magnitude earthquakes in 2011. Note: This is one year. Go back to the 60s, at the least, to see notable trends that are more calculating and true to the nature of seismicity. This was put together as a reference point for 2012 seismic activity. Hello and Happy New Year 2012. I must first apologize for the updates having ceased since boxing day. Amidst celebrating new years and spending time with family I ended up with no internet for a couple of days due to accidentally damaging the DSL adapter when moving a stand across the floor downstairs. It took until the last minute before the ISP was going to come but I ended simply taking off the protective sheath and replacing the phone cord with an ethernet cord. The phone cord still works so I don’t know why that was the solution. I am preparing for a bitter one up here. In early November, the 1980s record for November snowfall was broken, and now like all years, we are about to reach our coldest point of the season from late January to early March. The water influences most of our weather patterns. No part of the island is more than 100 km from the ocean. All my life it was within a normal range to experience humid temperatures in the summer, with the months of late June to early September ranging from 10 degrees at the lowest to a normal 15-25C, with highs of 30C + in late July to mid August, and then winter would usually come around in early December, sometimes not until late December. The temperatures since mid November 2011, have been around 5-10 at the highest, and -15 to -20 at the lowest with a real bitter winter chill at times. I cannot imagine living even a short ride up north in Labrador where temperatures of -25 to -30 are not uncommon. Aside from having to have available shelter during the late fall and 4-6 months of straight winter, it’s one of the more safe places on Earth once you adapt to the climate. The climate here is very strange – I’ve seen hail fall, snow and rain and sunshine followed by strong winds all in a short period of two or three hours. To think that we have a population of just 511,000 with such a paradise of trees, and oil (though dangerous to acquire) and fish, though the numbers have drastically decreased over the years. We remain more of a mid class society with a fairly high percentage living in a low class environment. The Capital of St. John’s, is the foggiest, snowiest, wettest, windiest, and most cloudy city in Canada. Not always as fun as it sounds, especially for astronomy. We don’t have tornadoes or volcanoes threatening us, but we do have risks for danger like the slight increase in hurricanes since the early 2000s, having been hit by Hurricane Igor in 2010, which has been since been referred to as a 1-in-100 year event. I had been living in the downtown St. John’s region at the time. The hurricane was regarded as a Category 4 in the beginning days, but when it reached Newfoundland it had been called a Category 1. We had in the past and have since been hit by rapidly decreasing category 1 systems, typically of Cape Verde. In my mind, based on all of the climate change worldwide, it feels only a matter of time, 2 years, 20 years, before a Category 1 or 2 tears things up once more, being on such an island where it is located, I believe we’ve been lucky without realizing it all of these years. 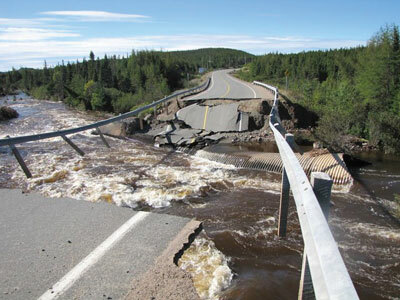 Large stretches of roadways were completely washed out by severe flooding, including a portion of the Trans-Canada Highway, isolating approximately 150 communities. Many parts of the capital had no electricity for 2-5 days, other parts were out for weeks. There are so many small towns and fishing communities up north. The videos of roads splitting from the flooding and the stories of people swept to the waves were tragic. It reminded us that not even we are safe here in our Atlantic haven. Me and my roommates at the time had decided to bundle up intensely and to head out in it, so we did that. When we first went outside the gales were strong enough to pull your entire being. Traffic lights that remained swayed, most were completely missing and at least one hit a passing vehicles in the capital. Down one road we meet a massive tree that had torn up an entire drive way and had impaled the roof of a house, poles were down all over, fire trucks and lines swaying all over. We get to the harbour and the wind is just enough not to throw us. The flooding was terrible, entire yards were consumed, the main roads in the area had water to a person’s chest at some points. I remember lots of trucks and vans attempting to run the flooded bridge to get to the main road, some could do it but some couldn’t and had to back out. The entire park and it’s benches were engulfed while swans and other animals frantically ran around the roads and people’s lawns. For a decreasing category 1, it sure hit us. The warnings were for a strong tropical storm as it decreased in power. I would argue with the force of the winds and rainfall that it was a category 1 right before it hit us, if not one that tapered off from a hurricane after it hit parts of the island. 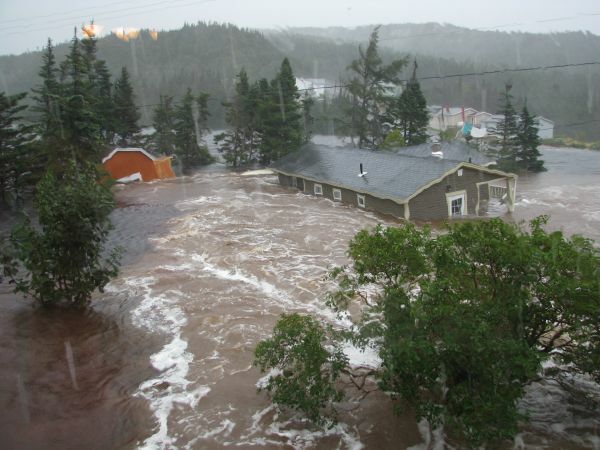 Some areas received up to 238 mm of rain, ranking Igor the third wetting tropical cyclone of Canada’s history. 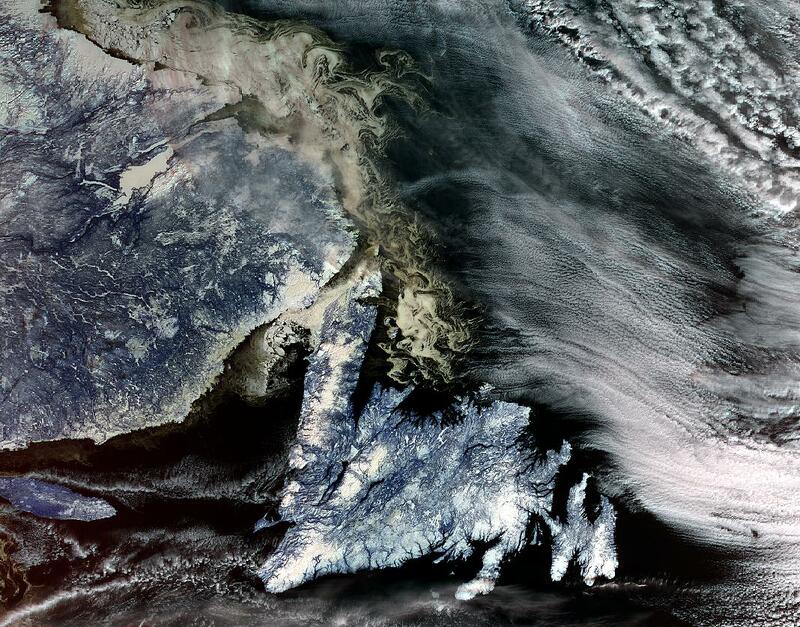 There was a storm tide of 1.1 m along the coast and winds ranged from 80 to 172 km per hour. Excessive runoff and flash flooding was noted all over. With regards to earthquakes, the last earthquake was the 1929 Magnitude 7.2 off the southern Grand Banks, the banks being a set of high undersea plateaus ranging from 80 to 330 feet in depth that are practically guarding Newfoundland and Nova Scotia. The 1929 quake was devastating at the time for the types of weak structure housing and fishing communities that stood close to the coast. And that’s where I am on this blue gem. I had always taken it for granted, but I feel so very appreciative of it after so many peaceful years here. Let’s hope that things calm down this year and that many lives are spared of the inevitable tragedy of having no selection or choice of where one is born. That, is the most important thing, that we put aside our differences and that we understand how the random selection works, and that no human needs to experience the fury or pain of this random selection based on the inhabitants and general rule of each area on this planet. The National Disaster Mitigation Agency (BNPB) says it is preparing for the worst if Mount Ijen in Bondowoso, East Java, erupts. “The BNPB will stay alert and keep strengthening existing posts,” BNPB information chief Sutopo Purwo Nugroho told journalists in Jakarta on Tuesday. Agency chief Syamsul Maarif has instructed BNPB officials at headquarters and the regional level to remain vigilant and anticipate worst-case scenarios, Sutopo said. “We have to anticipate a possible eruption, although we don’t know whether it will erupt or not,” Sutopo added. Three villages located near Mt. Ijen — Kali Anyar, Kali Gedang and Sumberejo — would be at the most serious risk if the volcano erupts, the BNPB said. “Local residents are prohibited visiting locations within a radius of 1.5 kilometers from Ijen’s crater, which stores 30 million cubic meters of water with an acidity level far more dangerous than accu water. People should not panic while remaining alert,” Sutopo said as quoted by Antara. The BNPB has readied Rp 466 million (US$51,260) of disaster-relief funds to cover the basic daily needs of evacuees for two weeks in the event of an evacuation. A sleeping super-volcano in Germany is showing worrying signs of waking up. It’s lurking just 390 miles away underneath the tranquil Laacher See lake near Bonn and is capable of ejecting billions of tons of magma. This monster erupts every 10 to 12,000 years and last went off 12,900 years ago, so it could blow at any time. 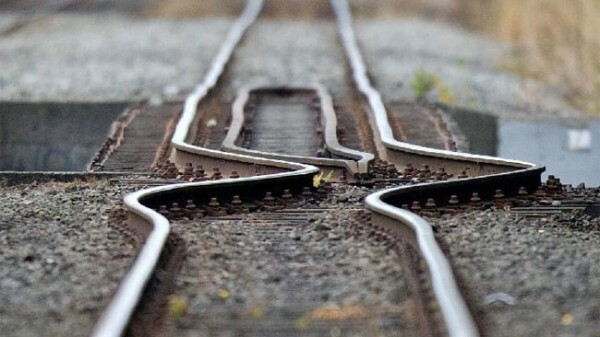 Experts believe that if it did go off, it could lead to widespread devastation, mass evacuations and even short-term global cooling from the resulting ash cloud blocking the sun. The effect on the UK is hard to predict but it’s possible that large parts of southern England could be covered ash. It’s thought that the volcano is similar in size and power to Mount Pinatubo in the Philippines, which blew in 1991 and became the biggest eruption of the 20th century. It ejected 10 billion tons of magma, 20 billion tons of sulphur dioxide, 16 cubic kilometres of ash and caused a 0.5C drop in global temperatures. Volcanologists believe that the Laacher See volcano is still active as carbon dioxide is bubbling up, which indicates that the magma chamber below is ‘degassing’. The inhabitants of Troms could hardly believe their eyes on the morning of New Year’s Eve, a very large amount, an estimated 10 to 20 tons of dead herring washed up on the beach, writes Northern Lights. Tromsø city is the ninth largest urban area in Norway by population. The city is warmer than most other places located on the same latitude, due to the warming effect of the Gulf Stream which originates at the tip of Florida. Various theories abound for the incident but no one knows for sure what’s happened in the popular hiking area in Nordreisa municipality. However, various theories have been tossed around, explains Jan-Petter Jorgensen (44), who stumbled upon the mass death in sight on the beach with his dog Molly. People say that something similar happened in the 80′s, and there is speculation among others on the river which flows into the ocean behind a promontory on the site, may have had something to do with it. Maybe the fish have been caught in a deprived oxygen environment, and then died of fresh water? Jorgensen estimates each individual fish to be of 100-150 grams, and that the total might be about up to 20 tons. She said the danger of more landslides had been reduced, but 22 persons remained under evacuation orders Sunday night. Police, civil defense personnel, geologists and local government officials were using special equipment to monitor ground movement in the darkness. There were also concerns that the huge volumes of earth would clog local creeks and set off flooding. The latest emergency outside Trondheim followed a week of severe storm damage that climaxed with the hurricane known as Dagmar that swept through western and north-central Norway and also hit Trondheim hard. Farther to the west, in Stryn, some families remained without power or telephone connections for the seventh day in a row. “This is really like being back in the good old days,” Anne Sølvi Sande Hoem told NRK. She and her three children haven’t had electricity since Christmas Day, but she considers herself lucky. The house next door in Lodalen was all but destroyed in the hurricane. Sande Hoem said the long-term power outage created practical challenges, not least with three small children in the house. “Things you take for granted, like washing clothes in the washing machine or having an internet connection, suddenly disappear,” she said. A generator has helped save food in the freezer and refrigerator, and wood-burning stoves are keeping the house warm. As in most Norwegian homes at this time of year, they also had lots of candles on hand. Iran will take action if a U.S. aircraft carrier which left the area because of Iranian naval exercises returns to the Gulf, the state news agency quoted army chief Ataollah Salehi as saying on Tuesday. “Iran will not repeat its warning … the enemy’s carrier has been moved to the Sea of Oman because of our drill. I recommend and emphasize to the American carrier not to return to the Persian Gulf,” Salehi told IRNA. “I advise, recommend and warn them (the Americans) over the return of this carrier to the Persian Gulf because we are not in the habit of warning more than once,” the semi-official Fars news agency quoted Salehi as saying. Salehi did not name the aircraft carrier or give details of the action Iran might take if it returned. However, last week a spokeswoman for the U.S. 5th Fleet said the USS John C. Stennis had left the Gulf. Iran completed 10 days of naval exercises in the Gulf on Monday, and said during the drills that if foreign powers imposed sanctions on its crude exports it could shut the Strait of Hormuz, through which 40 percent of the world’s traded oil is shipped. The U.S. Fifth Fleet, which is based in Bahrain, said it would not allow shipping to be disrupted in the strait. Iran also said it had no intention of closing the Strait of Hormuz but had carried out “mock” exercises on shutting the strategic waterway. Tehran denies Western accusations that it is secretly trying to build atomic bombs, saying it needs nuclear technology to generate electricity. The United States and Israel have not ruled out military action against Iran if diplomacy fails to resolve the Islamic state’s nuclear row with the West. The European Union is considering following the United States in banning imports of Iranian crude oil. U.S. President Barack Obama signed new sanctions against Iran into law on Saturday, stepping up the pressure by adding sanctions on financial institutions that deal with Iran’s central bank. Floods hit at least 10 different areas across the archipelago on the first day of 2012. National Disaster Management Agency (BNPB) spokesman Sutopo Purwo Nugroho said Monday that Surakarta, Sragen, Sleman, Yogyakarta city, Klaten, Brebes, Nganjuk, Pasuruan, Bungo and Banjar had been flooded since Sunday evening. He said heavy rain in Surakarta, Central Java, had caused the Bengawan Solo River and a number of other rivers in Sragen to overflow, causing floods on the Surakarta-Sragen-Surabaya main thoroughfares. “The traffic was halted because the flood water reached up to one meter in some places,” Sutopo said in a press statement. He said heavy rain also occurred in Sleman, Yogyakarta, and around Mt. Merapi, leading to cold lava floods in some areas of Klaten in Yogyakarta. Sutopo also said a number of villages in East Java were inundated following the collapse of embankments alongside the Ciapit, Bancang and Kabuyutan river. “In East Java, four houses collapsed and about 2,675 houses have been flooded,” he said.